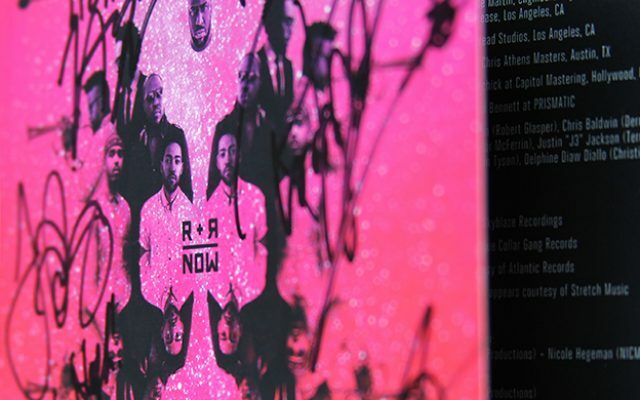 Music is our muse, so when we were asked to brand and develop the design packaging for R+R=NOW, that was music to our ears. 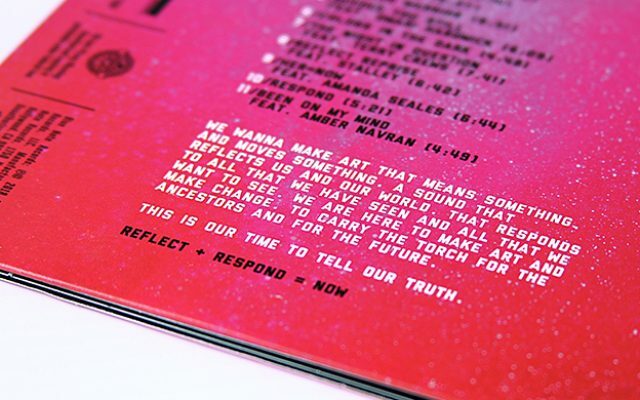 R+R=NOW (short for Reflect + Respond = NOW) is a jazz supergroup for, and of, our times that reflects and responds through musical collage. 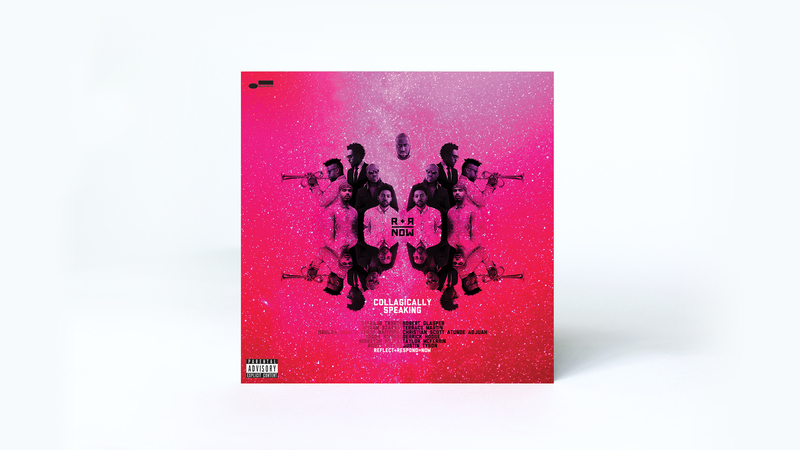 Bandmates Robert Glasper, Terrace Martin, Christian Scott, Derrick Dodge, Taylor McFerrin, and Justin Tyson create a new trajectory for jazz, making it accessible and unforgettable for jazz heads and hip-hop lovers alike. The album blurs and draws lines simultaneously to create an authentic, powerful audible journey that transcends genres. 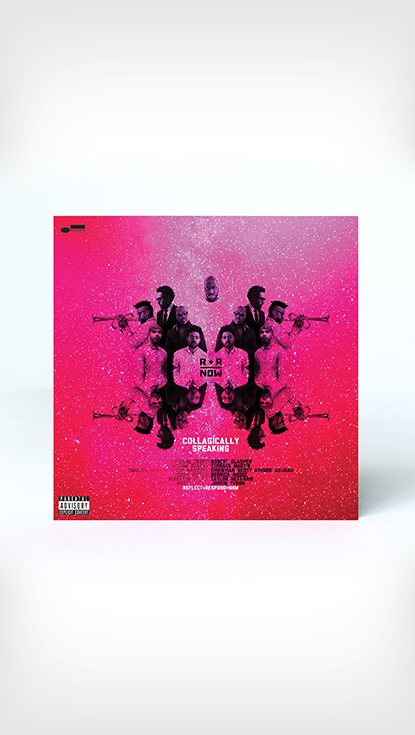 Electric pink sets ablaze a collage of messages from the most influential jazz masters of our generation. In a time when polarized extremes are too often given the Mic, it’s the reflection of many voices, experiences, and sounds uniting as a collage that provides a chance for us to listen and reflect.